"Anything that can be comfortable riding a bike. And have fun with it. It doesn't matter what peoples' style. Just have fun with it. I [also] really love color." 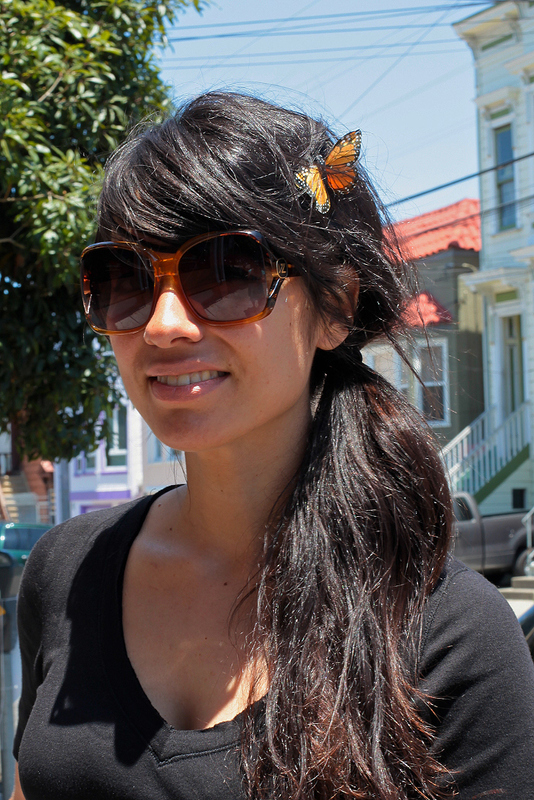 This is the wonderful Meli of the excellent blog, Bikes and the City. 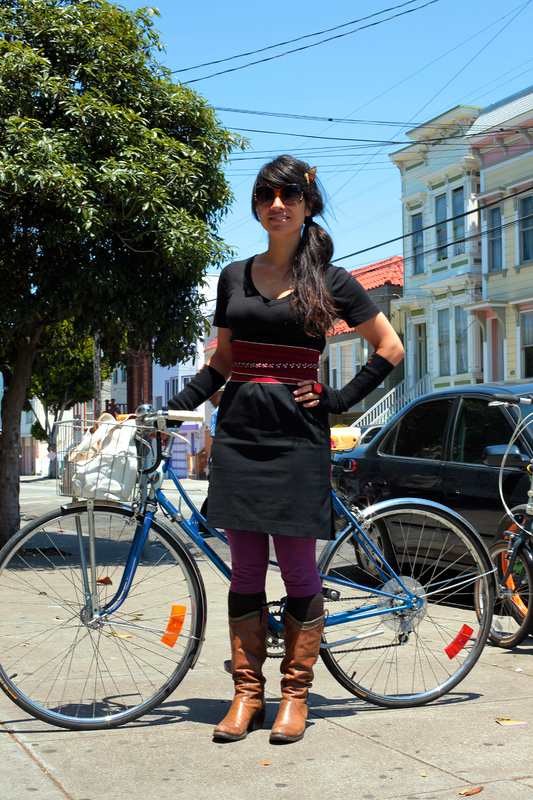 I recognized her when I was walking with a friend along 24th for the Mission Sunday Streets. Good thing too, since I'm pretty sure my brief appearances on Fashionist probably wouldn't give people enough info to recognize me (at least this is what I tell myself). I really want to do a collaborative project with her (nudge-nudge), because she seems to have a real love for SF and its peeps. Anyhow, she's pretty huh? 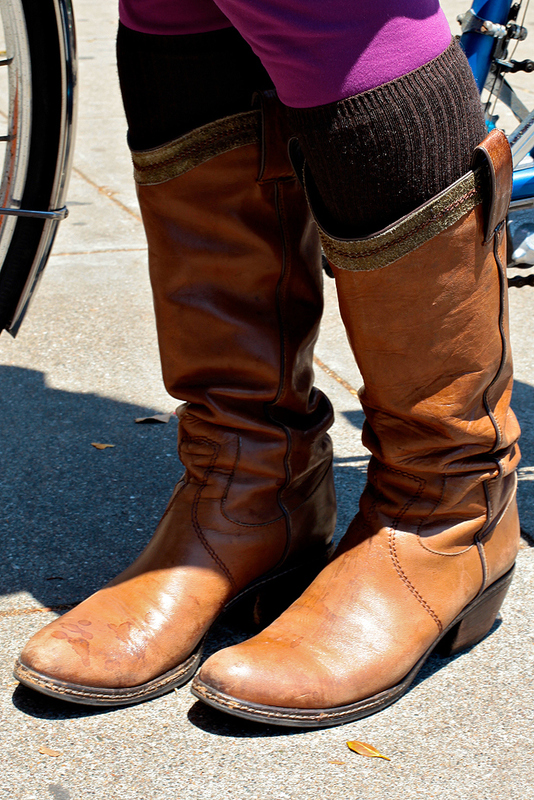 What's more, she is great at figuring out how to be stylish and practical while riding her bike (something I aspire to). She does look great and I do love her boots! meli! she is my hero! and she has such gorgeous hair! hey, @eyeliah ss, @freakbeatfuzz @jennine! yes, she's great. Hey Mai, What is the project you 2 are going to work on? An in-depth study of extreme Mission cuteness? Keep us posted!